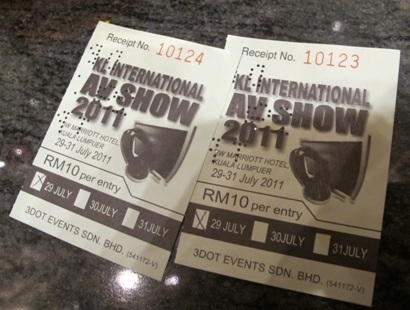 As mentioned, www.diy-audio-guide.com will do a small write up on KLIAV 2011: Kuala Lumpur International AV Show. 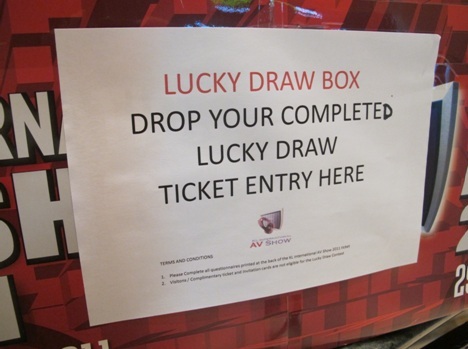 RM10 per entry – well worth the price! Get there on the 1st day of the show! It has the least crowd and you would have more time and space to listen to the setups! I’m very fortunate too to have someone to accompany me and be my photographer while I enjoy the show and listen to the setups. Thank you very much! As a DIY enthusiast, I would never miss the opportunity to check out the design and layout of the HIFI equipment to pick up some knowledge and tips on DIY-ing better equipment. Close ups on magazines and various websites are great sources for such data as well. We can analyze how the gears are built, what components are used and etc. The gears displayed in this room are from Vitus Audio. The exhibitor was so nice to open up the top and display them on stands. The build is really solid and tidy! 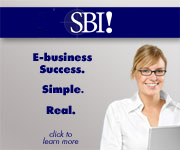 Such quality build instill confidence to the consumers on their products. Thumbs up to the manufacturer and exhibitor! (Pardon me for showing my aback in this picture. 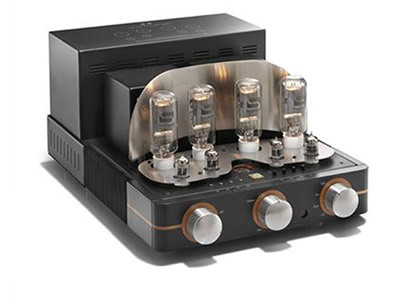 )Again, I’m admiring the craftsmanship of the Unison Research valve amplifiers. Too bad the UR S9 integrated amplifier is not switched on. It should be a beautiful sight since UR S9 is using the Svetlana SV-572 transmitting tube with thoriated tungsten filament that emits a very nice soft glow when powered on. Go to 801A vacuum tube introduction. This reminds me of the 801A tube, which is also another transmitting tube with thoriated tungsten filament that I’m going to build once all the components arrived. Meeting with audiophile friends is one of the things that I’d never miss during the KLIAV 2011 show. I met Jo KI in KLANS almost 10 years ago and visited him almost 7 years ago. Jo KI’s system is one of the setups I will never miss during the show – it has turned to sort of like a pilgrimage to visit his setup. Just FYI, if you do not know who Jo Ki is – he’s the famous guru of the LS3/5A loudspeaker. He invented the KI method of setting up the LS3/5A to AB1 bass extender that does a very good job of getting the best out of the LS3/5A. KI method on setting up LS3/5A with AB1 bass extender. The details and effort put into Jo’s setup would put a lot of people into shame! When I entered the room, I was greeted by the warm and friendly Jo and was later handed a few photo copies of the details of the FM Acoustics and Bryston gears on demo in his room. In the past show, the handouts were about the LS3/5A loudspeaker. Just by the look of this, you would have known how dedicated he is to this hobby. How many could have done that? My salute to you, Jo KI! I’ll cover more on his setup in detail in the KLIAV 2011 detail pages. Alright, that’s all for the introduction to KLIAV 2011, more to come on the rooms!